The fingerprints of change begin to grow. Until the forests that we knew are gone. The Rim Fire in the Stanislaus National Forest near California, which occurred in August 2013. This is a Heroic Rispetto, inspired by recent research which has found that climate change is causing more severe wildfires, as well as a higher frequency in other disturbances such as insect outbreaks in temperate forests. Temperate forests are those forests which are found in the moderate climates between about 25° and 50° latitude in both the Northern and Southern Hemisphere. They are often referred to as four-season forests because the climates in which they exist tend to experience four distinct seasons. 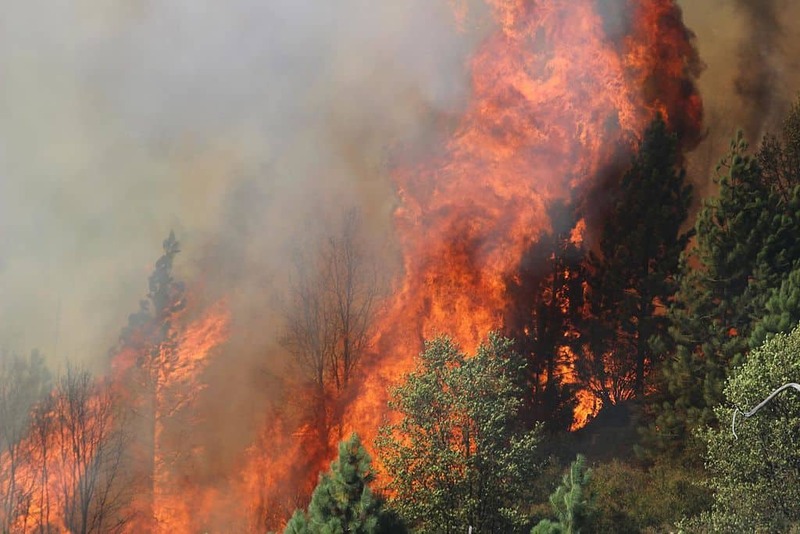 Whilst disturbances to these environments, such as wildfires, insect outbreaks, and drought have a large degree of local variability depending on the location of the forest, new research demonstrates that some of these disturbances are also in response to global climate change. By combining data for recent disturbances with in-depth local information of temperate forests from across the globe, researchers were able to analyse patterns and drivers of these disturbances at the global scale. The study found that while many temperate forests are dominated by small-scale, local disturbance events (e.g. windstorms), there is also a strong link between disturbances and global warming conditions. This suggests that with a warming climate, disturbances are expected to become larger and more severe in some temperate forests, which will require careful monitoring during the ongoing changes in the global climate system.